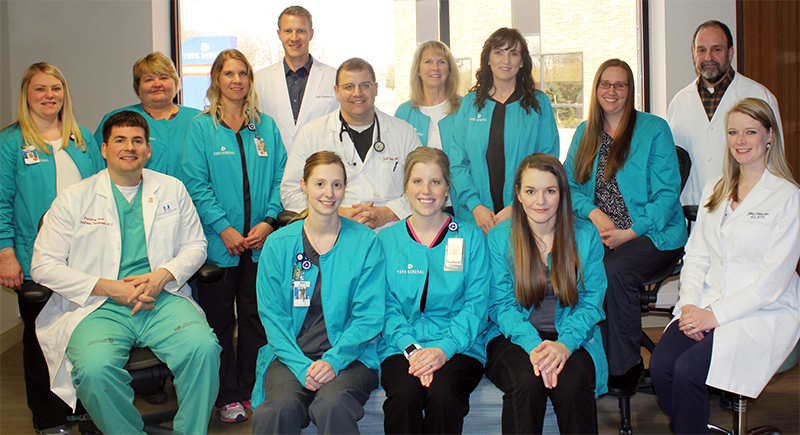 The Obstetrics Department provides family-centered maternity service in three private birthing suites, where mothers experience labor, delivery, recovery, and postpartum care. During labor and delivery, patients’ physicians monitor their progress and direct their care. In-house anesthesia services are available as needed for epidurals and cesarean births. At York General, the patient’s comfort is important. Mothers are encouraged to “room in” with their babies; however, a central nursery located within the department is available as needed for newborn cares and nap time for mom. York General Hospital offers several education classes to help prepare future parents. The Obstetrics Enrollment Class allows patients to pre-register, which makes the admission process simpler and more convenient at the time of delivery. A pre-payment option provides eligibility for discounts on services, classes, and meals throughout the pregnancy and childbirth. For more information or to register for classes, call 402-362-0457.